Exactly 20 years ago we visited the blue marble for the first time. As you all know by now, things are a bit different on our beloved planet K. It’s a very special techno place where every alien, robot, android, humanoid, cyclon, betazoid, … is equal. Peace, love and harmony have been fundamental to us for millions of light years. We realize that it isn’t easy being different in a world full of similar people. That’s why, on October 24th, we will help you escape to our planet where everybody can experience a joyful and tolerant atmosphere. Everybody is very welcome over here! We won’t judge anybody based on appearance, gender, sexual orientation, race, faith, nationality, disability, socio-economics, politics, or any other arbitrary classification and we won’t allow other people in our space ship to do so either. We truly believe that the only good labels are music labels and the only thing that’s important to us, is that everyone shares the same love for techno music. We must not forget that, after 20 years of Kozzmozz, we have become a close techno family. Earthlings have always been and will always be our favorite party people in the Milky Way. We danced and had fun on many nights together, some of which epic nights most of you will never forget. We want you all to keep believing in a balanced world filled with good techno music and we know that together we can make it happen. Remember that, although the challenges facing this galaxy are great, they are not as great as the strength and love that is within us. We need to reach out beyond our differences and find common ground. Let that be the love for great techno music. Before we come to the last chapter of our 20 Years celebrations, we will touch down in the Artcube again and present you two rooms where we can share that love. On Planet DS7, we present a great mix of artists who will be visiting our spaceship for the first time as well as guests we know well and our residents, who all share that love for techno too. Nina Kraviz is our main headliner. She’s a Russian techno DJ, an accomplished producer and one of dance music’s biggest breakthrough names of the last five years. She has wide-ranging roots that run deep in the past, yet she’s also the embodiment of the future. Her signature sound is a raw blend of techno with a very acidic feel. She broke through with ‘Ghetto Kraviz’, a tribute to Chicago’s Dance Mania label, taken from her 2012 self-titled debut album. This year she released the latest instalment of !K7’s landmark ‘DJ Kicks’ series and the result is up there with the best in the ‘DJ Kicks’ catalogue. She’s now a steady feature on Richie’s Enter and Sven Väth’s Cocoon parties and we are very happy to welcome her on Planet K for the first time. She will be joining one of our long-time favourites: The Advent live. Cisco Ferreira is a man who has played a big part in the creation and development of Techno from the very beginning of the genre’s history. He released his first track in 1988 and worked as the sound engineer on some of Derrick May’s, Adonis & Fingers Inc’s recording sessions! The list goes on, and so did Cisco. His releases on labels as Tresor, Rotation, Electrix, Kanzleramt, Dj Gigolos, Pure Plastic, Synewave plus many more are just another example of his ongoing pursuit to keep pushing techno to new boundaries. The Advent keeps fulfilling Cisco’s vision as much as ever. He is still very busy touring as a live performer, producing for numerous labels and running his own techno imprint, Kombination Research. Our love for The Advent runs as deep as our love for techno music. Bjarki is one of 2015’s most exciting artists and producers around. Releasing on Nina Kraviz’s label трип (pronounced: Trip), this Icelander has already set his landmark in the dance music scene. ‘Arthur and The Intergalactic Whales’ was the first 12-inch single on трип—one banger and one dreamy groover on the other side, that shows the different sounds of Bjarki. It includes ‘I Wanna Go Bang’, the most sold and played track at all techno festivals this summer. And no Kozzmozz flight without our own beloved techno stars off course. Kr!z’ Token label is bigger than ever and can count on universal recognition with over 50 releases to its name, including several well received album projects and 12”. Token Records is now being played by techno lovers and the biggest players all over the world. The voyages on DS7 will also be supported by resident Spacid who always perfectly tunes into the Kozzmozz vibe. He has been playing for Kozzmozz since the first editions on the boat and his career spans even more than 20 years of techno knowledge. He remains a greatly in demand techno dj till today. On DS9 you will be able to dive into the vibe of the techno capital of the world, Berlin and its favorite techno sounds of the moment and the future. Steffi has developed a natural and professional balance between DJing and making records through the experience that comes from promoting underground parties for over a decade and running two record labels - Klakson, and her quickly expanding Dolly imprint. After 6 years as a Panorama Bar resident, Steffi compiled and mixed the 'Panorama Bar 05' mix CD in the spring of 2013. Steffi also released original material on labels like NYC's Underground Quality and Holland's Field Recordings and provided numerous remixes. Her work as a DJ, distinctive productions and sought after releases on her own labels, all reflect the love she has for vinyl and help to celebrate the culture of underground dance music. When Answer Code Request’s first EP hit the shelves of Berlin’s seminal record store Hard Wax, speculation across the web took up instantly. Was this another incarnation of affiliated techno stalwarts, like Marcel Dettmann or Shed? As the identity of the enigmatic producer behind Answer Code Request was revealed to be Patrick Gräser, at least some of the buzz was on the right path. Before Answer Code Request became his project to be, he spent his youth in the same small hometown near Berlin as Marcel Dettmann and Marcel Fengler, sharing their experiences of hitting the big city as a teenager, in search of the records and clubs that formed the tradition in the 90’s, then taking up DJing and producing shortly after. From his first public appearance to internationally acclaimed artist, performer and Berghain resident DJ, it only took Answer Code Request a year. Enough said. As founder and resident of the esteemed Grounded Theory party and booking agency in Berlin, Henning Baer has been at the forefront of presenting innovative electronic music while boasting vivid DJing and production skills. Recently celebrating Grounded Theory's 25th party, Baer has a reputation as a thoughtful curator that is reflected in in the thunderous techno he's released on his own K209 imprint, as well as on Adam X's Sonic Groove and Psyk's Non Series. 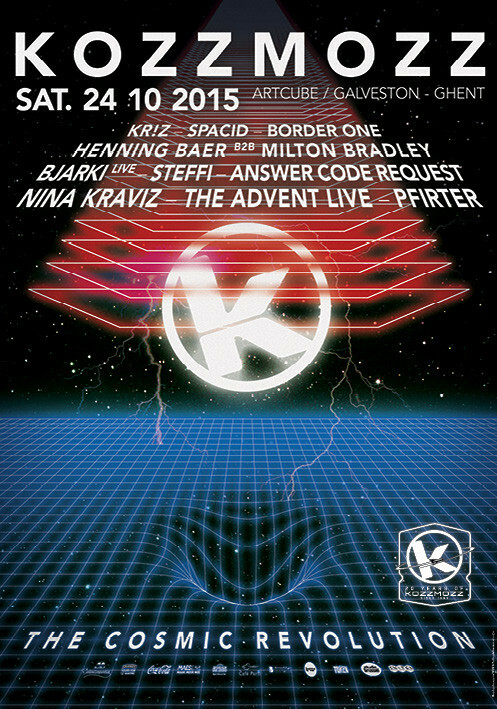 K209 was set up in 2011 in collaboration with Milton Bradley, with the first releases receiving rave reviews on Resident Advisor and leading to Baer being named one of Tea And Techno's "Ones To Watch for 2012." Baer's techno is raw, dirty, and uncompromising, with an immersive energy that has made him one of Berlin's most sought-after DJs. In 2008 Bradley Milton gave birth to the 'Do Not Resist the Beat' label. It displays dark experimental drones with unnerving atmospheric sparseness and industrial sounds fused with the early minimalistic theologies to create one of techno’s most defined and original styles. Not resting on his laurels, 2010 brought the experimental and dark sub label 'The End of All Existence' for atmospheric, earth shuddering, cinematic techno at its finest. Alongside Henning Baer he then created K209 as an outlet to release more raw and industrial techno cuts. More recently and inspired by the mid 90’s acid sound, Milton set up the label ‘Alien Rain’. His ability to stand out from the crowd prompted Grounded Theory to make Milton Bradley their resident dj. Now these two figures are rewriting Berlin’s history and will join forces for a true (techno) love affair on October 24th. Carefully sculpturing his way out of the shadows, Border One crafts a unique story with his music: exploring the borders of our being through sound, movement and perception. With heavy support for his first release on Darko Esser’s Wolfskuil label by DJ’s like Kr!z and Ben Klock the light seems to shine brighter than ever for Stevie P. who we already know from amongst others Kowboys and Indians and other underground techno parties. Just as much as with his productions Border One’s DJ-sets stand out. Immune to trends and hypes, he embraces the true skills of an old school DJ mostly relying on vinyl. 2016 will see this young Ghent based producer step into the light. We will already see him shine now! Let’s dance and celebrate our love for techno from the heart with no differences!